Nail the essentials of awesome blues guitar...fast! This course excelled in many ways compared to other courses I have looked into. I have started and stopped the guitar more times than I want to admit. I thought I had at least the basics down. But then I never had someone that would get the small details across that make sooo much difference. From correct method of holding the pick( if you can believe that) to correct bend technique, through slides and pull offs. I thought I at least had this down. But now that I have completed this one course I feel that now I have made great progress. Then I noticed something that is quite unique with this course and James Shipway's methods- There is a building method that he takes you through by stepping through licks and pieces of licks that is helping to develop your skills without you realizing it's there. This only becomes evident after about half way through this first blues module. Then all of a sudden you are able to pick things up a bit easier, you begin to hear where notes are coming from on the fretboard because you have tried them before and therefore you are making progress. Now the licks do not get easier but your learning of them does. It is a really well developed course and the attention to detail has not been missed. I cannot wait to begin the next module and get straight into learning more. If I was an accomplished blues soloist I could be incorporating these licks right now into songs. I just need more practice....I highly recommend this course. I am finally turning up the amp! More than a years progress in just a few months! I looked at this course after having subscribed to other blues guitar tuition courses. I have made more progress in the past three months than in a year before finding James (even my cynical wife notices!) I thoroughly recommend TGL. This has really helped my blues and rock solo’s, from what should I play, some great phrases as complete solo’s . I have even learnt more notes in different positions which really helped getting me out of being stuck soloing at the same position. I can now solo right up and down the fretboard. Thanks James for an awesome course which is easy to understand. Well, I know a whole lot more than when I started. This is the most comprehensive course I've ever taken, and it builds, first with the foundation, to structure, to finishing touches. Whilst I've finished it, I certainly will keep coming back. There is enough to keep me busy for a long time. And I didn't get frustrated and quit. Great course! WANT TO PLAY AWESOME BLUES GUITAR BUT DON'T KNOW WHERE TO START? How about starting with the exact same tools and techniques the blues guitar legends use (taught in a way that'll quickly have you using them too)? ...and playing cool, authentic blues solos is not difficult to do. You just need the right things and be shown what to do with them. You see...unlike many guitar teachers and players, I remember how confusing it is when you're starting out. What makes them sound so good? Are they using tools and tricks I don't know about? What are the most important things for me to learn right now which will actually make a difference to my playing? And WTF is a 'one four five' ( or some other confusing term)? Learn blues guitar the right way and save yourself years of confusion and frustration with Blues Guitar Launchpad ! Blues Guitar Launchpad gives the essential tools you need to play great blues guitar. Create solos of your own which sound like some of the biggest blues legends ever! You might think that the blues legends are using all sorts of fancy stuff in their smoking solos. Stuff that takes years of blood, sweat and tears to learn. But most of the time they're not! In fact they're using just a handful of simple and easy to learn tools..and I'll show you exactly how to play and use them in Blues Guitar Launchpad. But I can show you the 'lions share' of what you need to know to get there... explained and demonstrated in a way that makes sense and will get you up and running quicker than most players. Plus... setting your amp for a great blues sound, game changing tips for jamming and improvising and much more! Fantastic course! The Blues Brew solo was daunting at first, until I took it lick by lick! Highly recommended. Right for the first lesson, this module is engaging and thought provoking. I have really enjoyed learning these differing styles of the blues. I was previously impervious to them but I have learned loads of new licks and phrases that I will be very happy to work into my own playing. As always, James has made this interesting for players of all standards. Great job James! Ready to Launch YOUR Blues Guitar Journey? Get Access to Blues Guitar Launchpad and Everything Else in Total Guitar Lab with a Monthly or Annual Pass! How is the Blues Guitar Launchpad training delivered? Yes. Each module comes with a professionally transcribed and fully downloadable PDF workbook featuring all the examples in guitar TAB and notation. The workbook also contains the 'homework' for the module! Working through these short practice routines will help you learn, remember and be able to use everything in the module much more easily. How do I know if Blues Guitar Launchpad is right for me? If you want to start playing electric blues guitar without all the confusion and hold ups most players face...then Blues Guitar Launchpad will be a perfect fit! Or if you have some experience of playing blues but feel like you never really covered the essentials and have big gaps in your understanding then it's just what you need to get back on track. 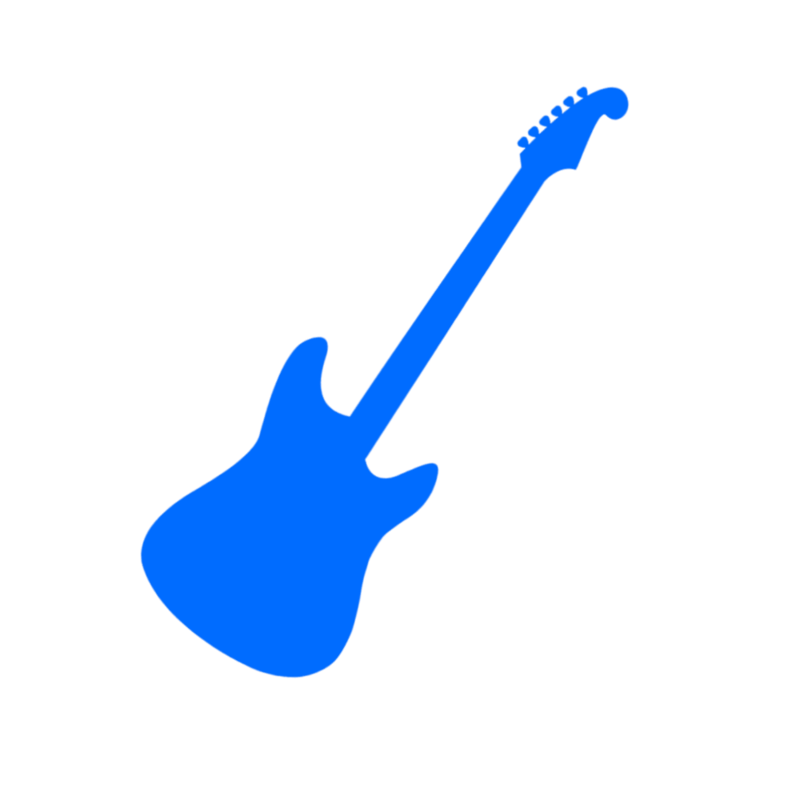 If you consider yourself a fairly fluent soloist, can solo over the 12 bar blues in any key, have a range of blues licks and runs at your disposal but want to expand your playing then you may be better suited to my follow on course, Blues Guitar Lick Lab. How long will it take me to work through Blues Guitar Launchpad? The modules in Blues Guitar Launchpad are 'bite sized' and designed to be fun and manageable to work through. Plus you don't need to master every single thing in a module before you move on. Having said that you should expect to spend around a month on most of the modules if you're going to cover them properly. You may find you're faster than this...or slower. It doesn't matter, the whole beauty of an online course is that you get to go at your own pace! Are YOU Ready To Launch Yourself Towards Becoming a Great Blues Guitarist? If you are ready to start taking the steps to becoming a great blues guitar player then I invite you to join Blues Guitar Launchpadnow and get started on your journey right away! Everything you need to know is right here inside Blues Guitar Launchpad shown to you in 100% 'confusion free' step-by-step lessons mapped out in the best order for rapid learning and speedy progress. So join now and prepare for blast off...with Blues Guitar Launchpad! Brilliant course. Covers all aspects of Blues soloing. Nice steady build up of modules at about the right pace for me. Online training at it's best! This really is good and very easy to follow! The course content and James enthusiasm and patience are as good as anyone I've tried out there. It's just what I have been looking for. Excellent course - well paced - well taught - no bull! I've used BGL for 3 wks. What a revelation! I've seen vast improvement in my ability. I absolutely recommend Total Guitar Lab - it's taught me the difference between playing and practice, as a result I'm finally learning and improving. Thanks James! This course should have been available 15 years ago! If James had been online when I was younger, I'd have been a shredder ages ago! BGL exceeded my expectations. James' teaching is clear, concise and I'm already experimenting with some cool blues licks. Fun, motivating, can't wait for the rest! WATCH: GETTING GREAT RESULTS WITH THE BLUES GUITAR LAUNCHPAD ROADMAPS! DOWNLOAD THE FIRST CHAPTER OF YOUR BLUES GUITAR LAUNCHPAD ROADMAP! OTHER KEYS...WHY THIS CAN MAKE OR BREAK YOUR PLAYING! 'WINDY CITY' - HERE IT IS! DOWNLOAD YOUR ROADMAP FOR THIS MODULE HERE! Sign Up for a Monthly or Annual Pass and Access Blues Guitar Launchpad PLUS Everything Else in Total Guitar Lab!